Berkeley’s Firefighters and Lions clubs distributed the holiday’s food baskets to seniors. 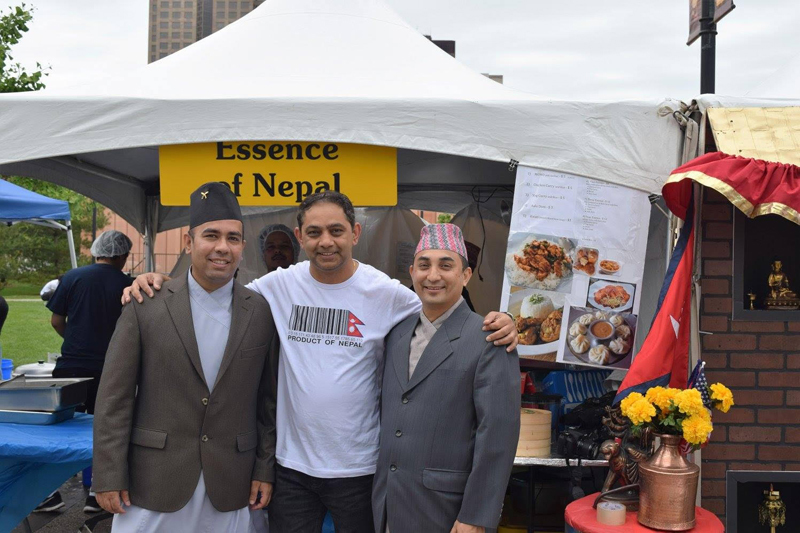 [Des Moines, IA] – In celebration of the Asian Heritage Month, Iowa Nepalese Association successfully participated in the 14th annual Asian Heritage Festival in Des Moines Iowa on May 27 and 28. 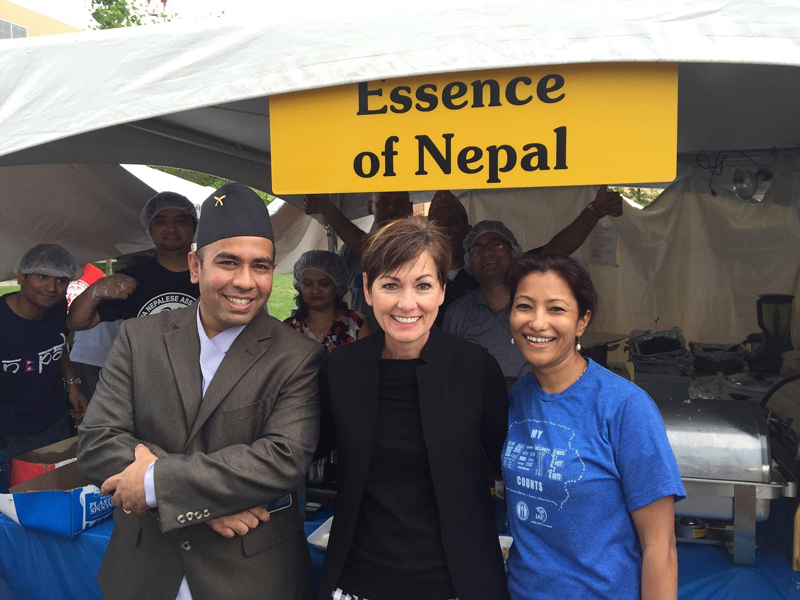 This was a great opportunity for Iowa Nepalese Association to showcase Nepalese culture, heritage and food. 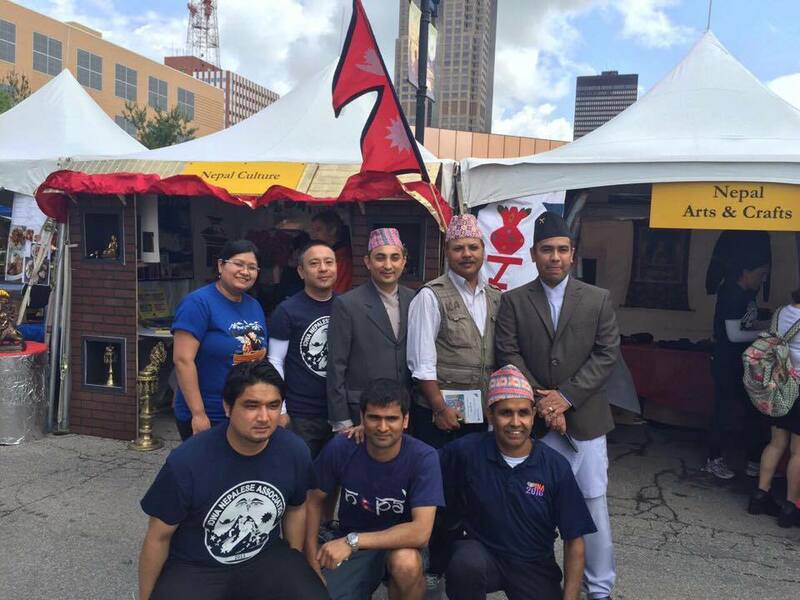 This year the Iowa Nepalese Association(INA) had the distinctive opportunity to invite Mithila artist Ajit Sah from Nepal to participate in the festival, display his exemplary work and educate Iowans about Mithila art and culture. Mr. Sah was welcomed with big hearts by the organizers of the festival. 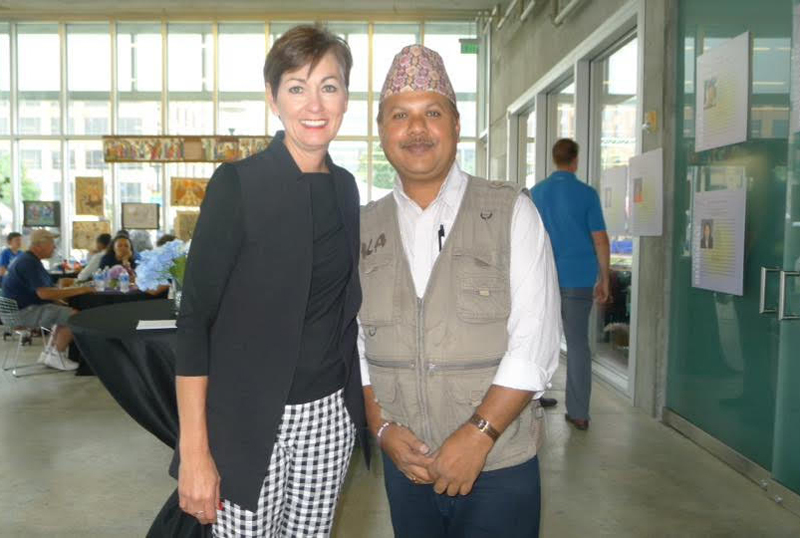 His artwork was displayed at the VIP village where many VIP’s including the chief guest Lieutenant Governor of Iowa Kim Reynolds was in attendance. Lieutenant Governor Reynolds praised Mr. Sah for his exemplary artwork and for travelling across the globe to participate in the festival. “This has been such a grandiose opportunity for me to showcase Mithila arts and culture to Iowa” says artist Ajit Sah. Mr. Sah adds that he is extremely happy to see such appreciation for his art by all Iowans and thanks the President of INA and its Board members for inviting him to participate in this remarkable event. 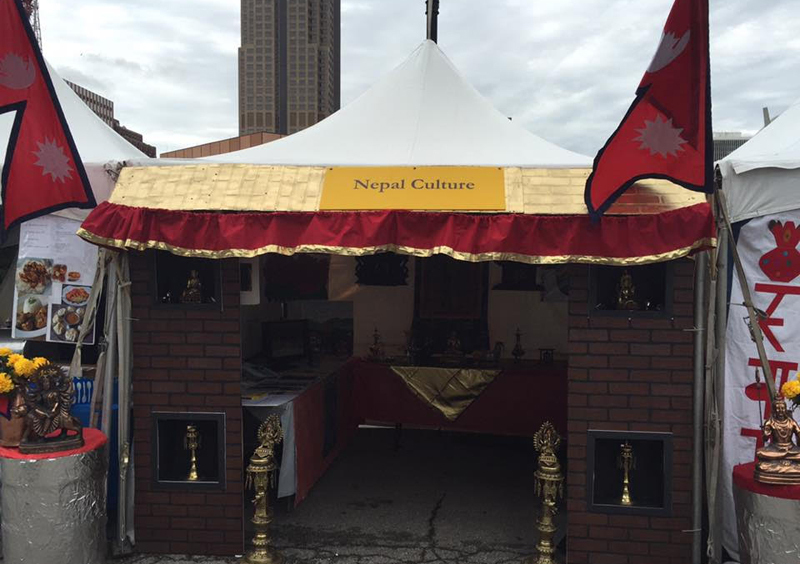 This year the Nepalese village received second prize for being the best village to showcase culture through the village displays. 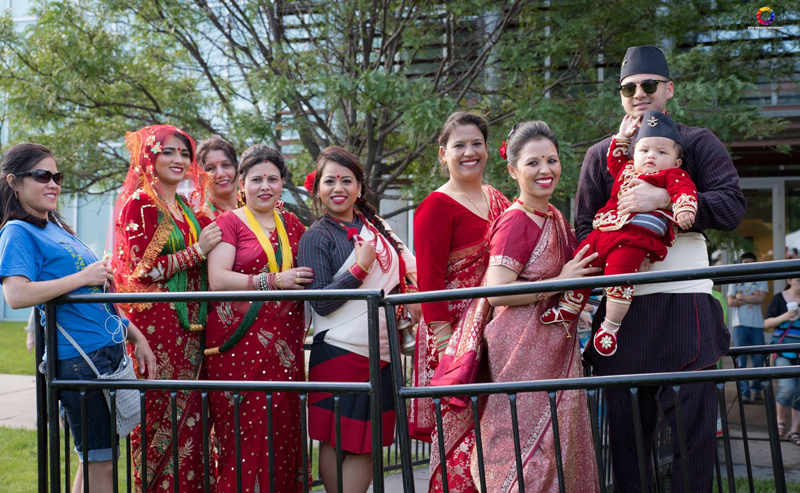 Nepalese village has consistently been awarded as the best village for most of the years that it has participated. 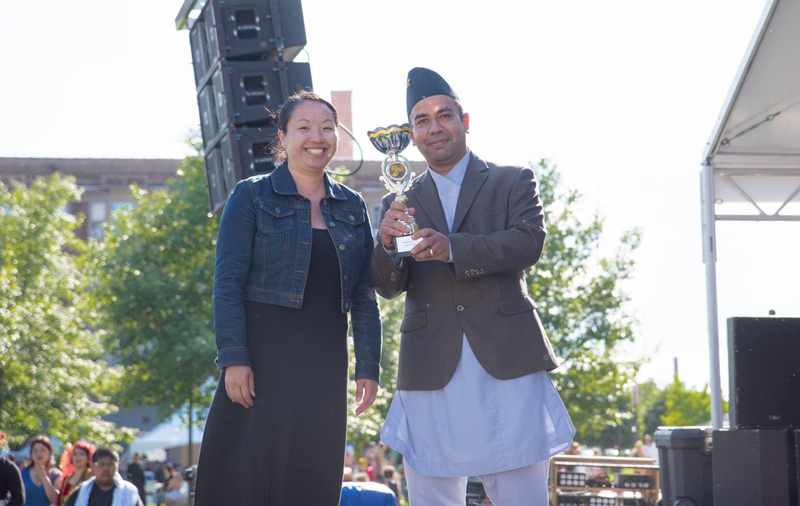 “Nepalese Village has set the bar very high for other villages to be creative and thoughtful about their village displays as a means of educating the world about its culture and not just being commercial by selling food” says Nu Huynh, Executive Director of Iowa Asian Alliance, who organizes this festival. 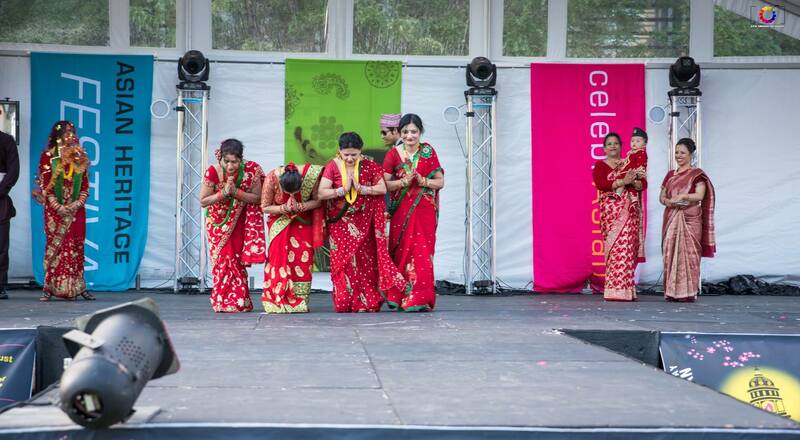 She adds that the collaboration, dedication and passion of the Iowa Nepalese community is easily visible through the village display, food preparation, coordination of dances and fashion shows and expresses her appreciation towards the community for being such an example for others. 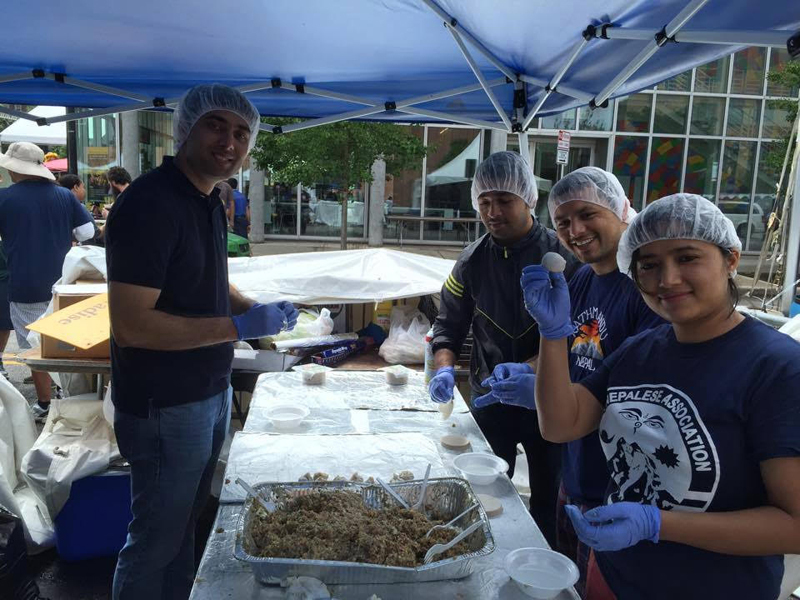 This is a huge accomplishment for a relatively small Nepalese community in Iowa. 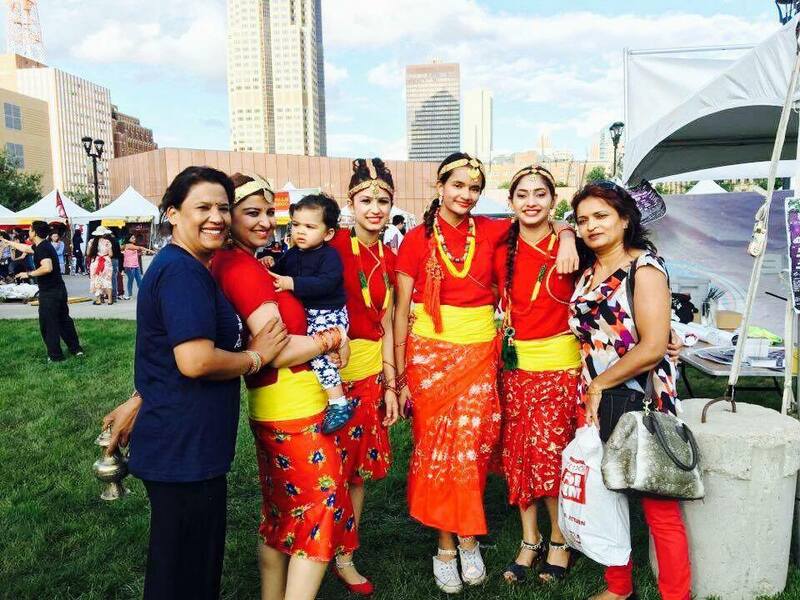 An estimated five hundred Nepalese currently reside in Iowa. 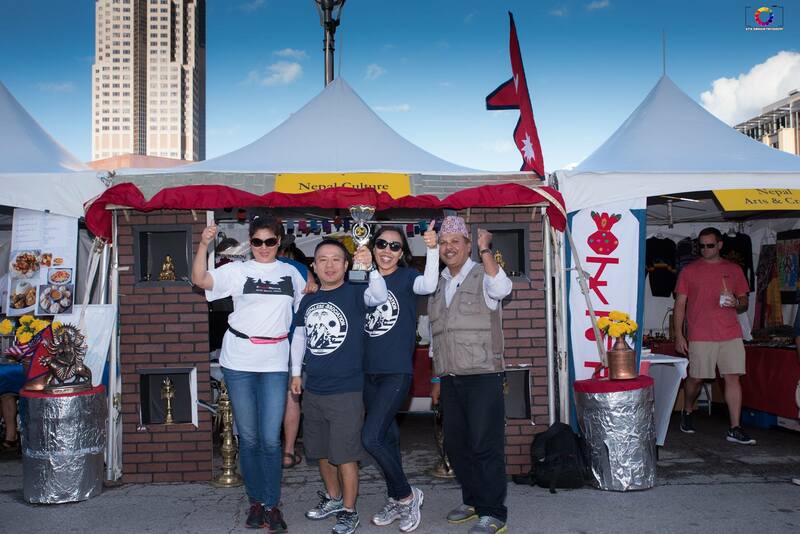 The Nepalese community in Iowa is a tight knit community with a laser focus on unity and collaboration, which is evident by the success of such events where extreme collaboration and dedication is required. “This is a very hands on event where we need each community member to contribute and participate to have a successful event. 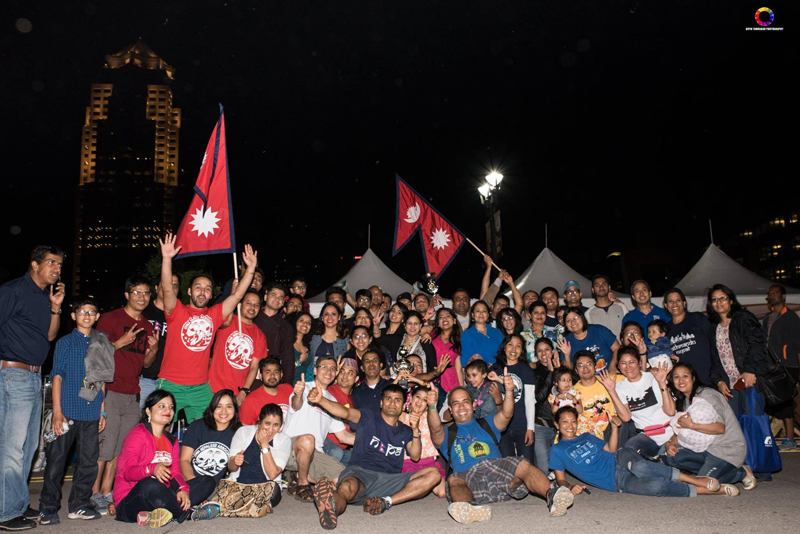 We are blessed to have community members who worked tirelessly for more than six months, participate in uncountable meetings, conference calls, and collaborative discussions to ensure that we have a successful event and come out shining every time” says Sanjay Shrestha, President of Iowa Nepalese Association. 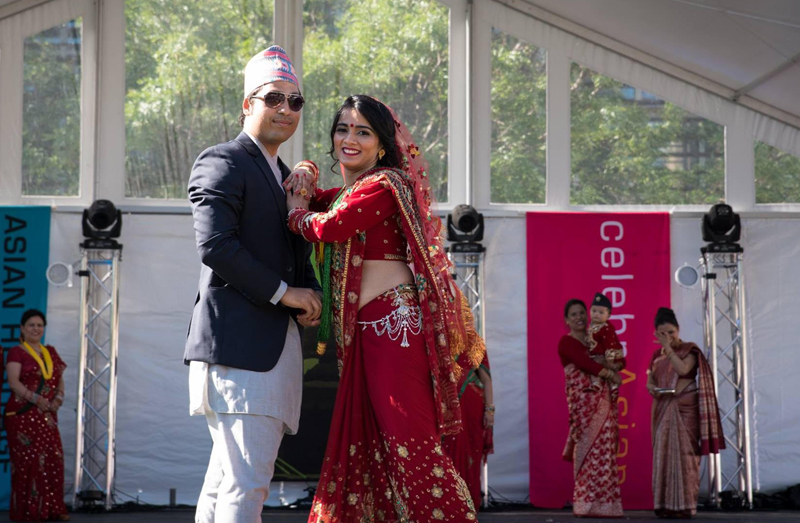 Mr. Shrestha adds “when we started participating in this festival with handful of families more than ten years ago, no one knew much about Nepal. Today people come looking for our village and our mouthwatering momos. We have successfully created many mo-mo aficionados through this festival. 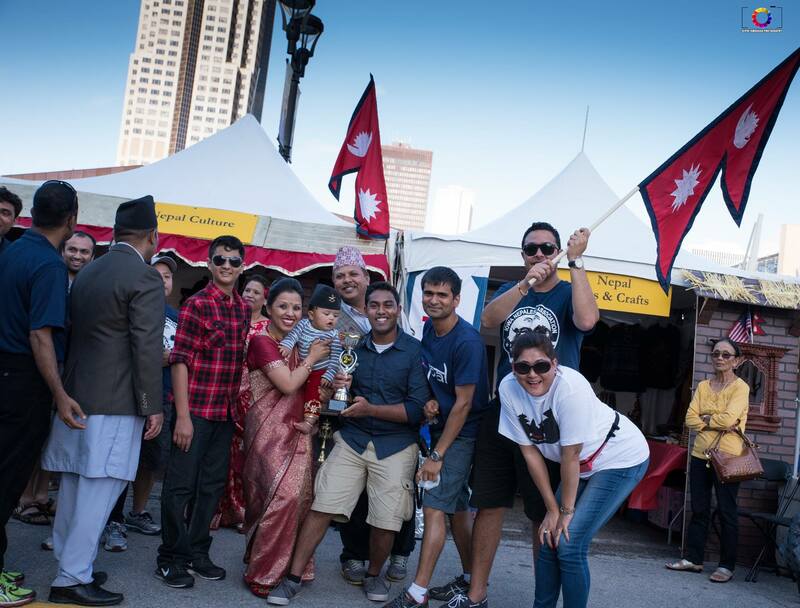 This event has definitely introduced Nepal and its culture to Iowans and enabled the community to come closer by collaborating and unifying for a greater cause”. 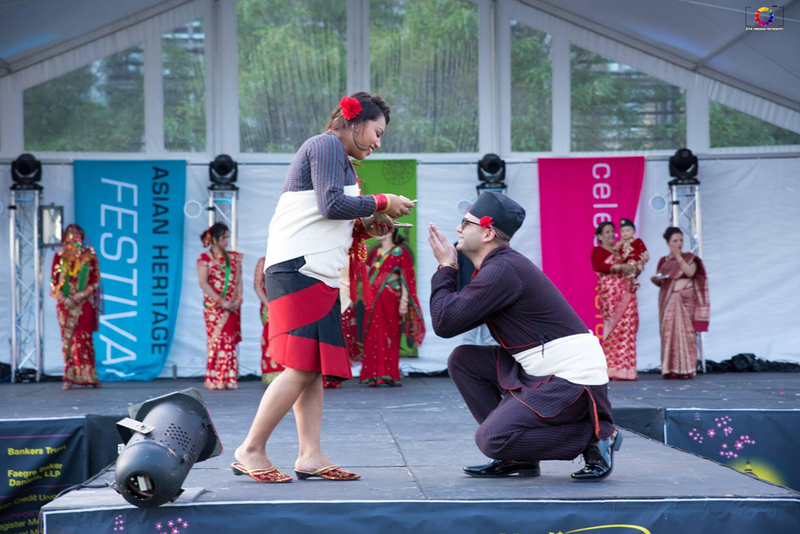 Originally introduced by Representative Norman Y. Mineta and Frank Horton in 1977 as “Asian-Pacific Heritage Week,” the celebration was officially designated and extended to a month under President George H. W. Bush in 1992. The month of May was chosen to commemorate the immigration of the first Japanese to the United States on May 7, 1843, and to mark the anniversary of the completion of the transcontinental railroad on May 10, 1869. The majority of the workers who laid the tracks were Chinese immigrants. 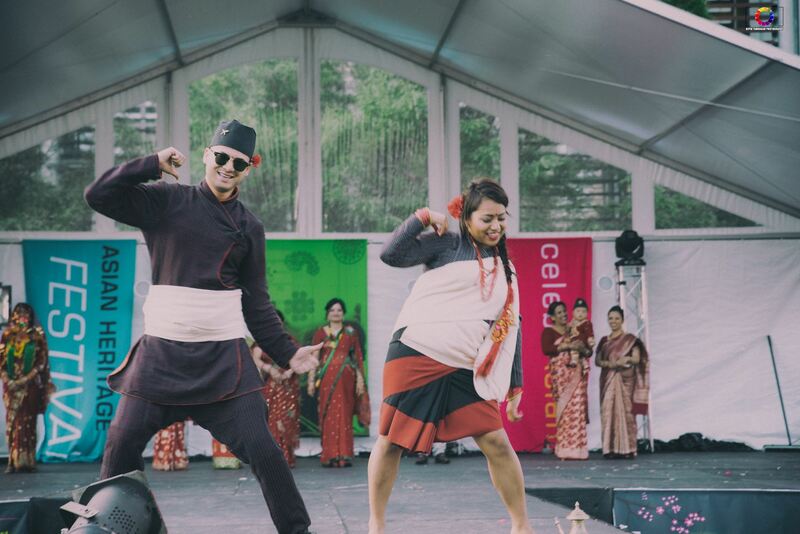 Nepalese community members and friends to come together to celebrate festivals, events and support each other as needed. 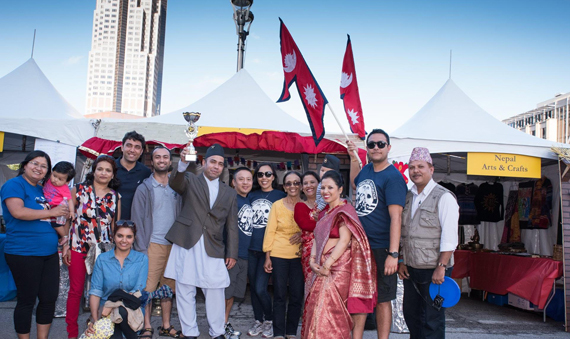 INA organizes various activities across the year with cultural events such as Dashain festival celebration, local sports tournaments like soccer and table tennis competitions, and promotes children's education by hosting Nepali language classes and Lego Robotics classes.